LEGOLAND Star Wars MINILAND Giveaway! You are here: Home / Expired / LEGOLAND Star Wars MINILAND Giveaway! Yesterday I had the very fun opportunity to attend the pre-opening of the all-new LEGO Star Wars MINILAND at LEGOLAND Discovery Center, chronicling the adventures of Star Wars: Episode I – The Phantom Menace! 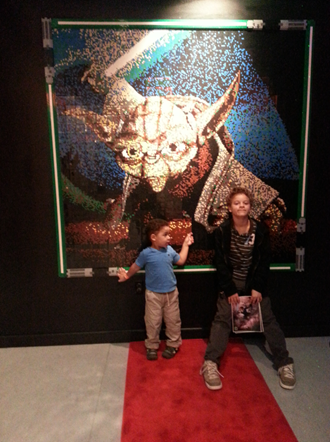 It was a lot of fun – of course we really enjoy LEGOLAND anyway and then when you add Star Wars, well that made our day! 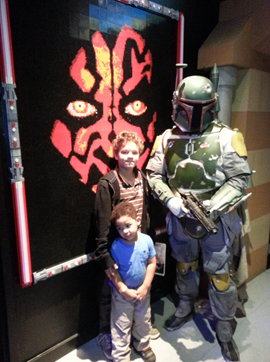 The kids even got to meet Boba Fett! I am always amazed at the things they can create with Legos! 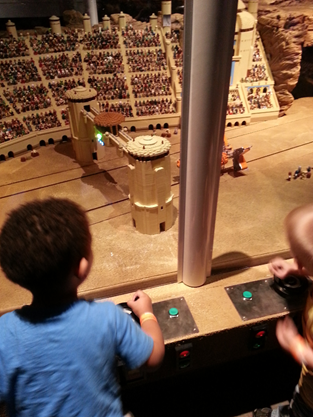 The entire display was interactive, too and the kids loved being able to control the Pod Races in Tatooine! Of course, no Star Wars display would be complete without Yoda! 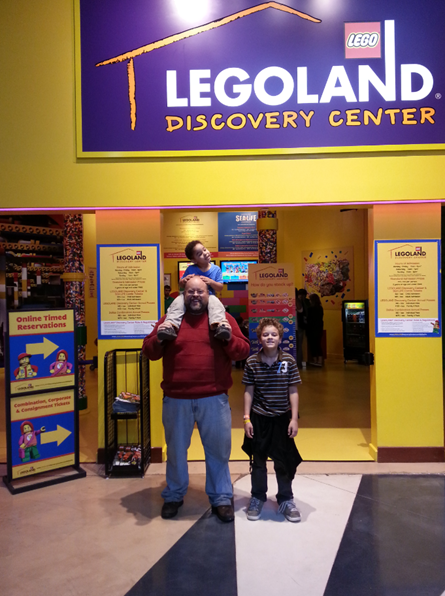 I am excited that LEGOLAND Discovery Center in Grapevine, TX is allowing me to give a lucky reader 4 tickets to visit LEGOLAND see the display! Mandatory Entry: Leave a comment here and tell us your favorite Star Wars character! This giveaway will end Saturday, April 26th, 2014 at 11:59 pm Central time and the winner will be emailed soon thereafter. Make sure you add [email protected] to your address book, so you get the email if you win! My favorite Star Wars character is Darth Vader. Well, actually that is my sons. My would be RTD2. We would love to win these tickets! I am following on pinterest, email, and facebook. Thank you! Which is my favorite? That is a tough one. I guess I would say my all time favorite would be the ewoks. My boys are so into Legos right now, especially Star Wars. They play the Lego Star Wars game just about every single day! They have sucked me into it too! They would love a trip to Legoland! Thanks. I signed up for Dian’s Daily Deals. I already “Like” Grocery Shop for Free on Facebook. I copied and pasted those lines onto Facebook. Mine and my sons is Yoda!!! We love Chubaca. We would love to go!